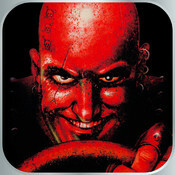 Fifteen years after its release, the classic 1997 game Carmageddon has made it to iOS. Carmageddon was one of the first open-world vehicular action title that allowed you to run over pedestrians and cows! Naturally, the violence in the gameplay generated some controversy. To get past the censorship, the developers replaced humans with robots in Germany, and with zombies in the UK. Interestingly, Indians were fine with exploding human limbs, but cows were duly removed from the game. To win a race, you can either complete all the laps (how boring), or waste your opponents (hell yeah!). The game has been modified to take advantage of the iPhone and iPad's touchscreens. Moreover, it comes with Game Center integration, iCloud support, and Retina display compatibility. The game costs $2 (approx Rs 110), and for that price you get 30 playable cars, 28 opponents, and 36 levels. Don't forget to check out the gameplay video below. Platform: iOS 5.1 or above. Compatible Devices: iPhone 3GS and later, iPod Touch (3rd gen) and later, and all the iPads.